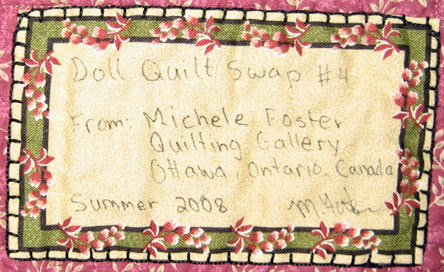 Just before I left for Nashville, I mailed my Doll Quilt 4 project to my partner Alison. I started with this, and below is my finished piece. Here’s the one Alison sent to me. I’m not sure if it was intentional that we were both each other’s partners or if it just ended up that way by coincidence. I really enjoyed doing the doll quilt swap. 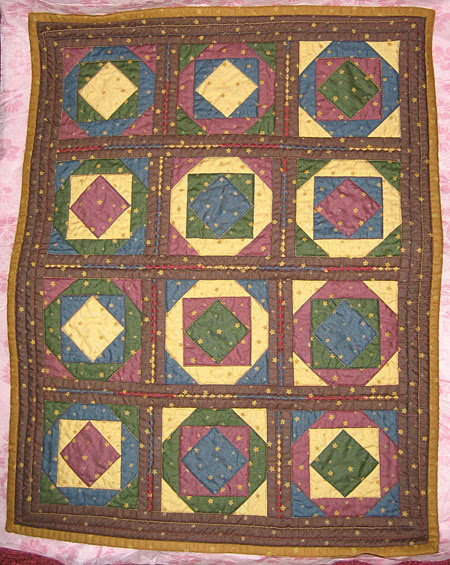 Any dolly would love this quilt. So warm and cosy looking!